No other region in the world is better located for the development of marine technology and marine renewables. Set between the North Sea and the Atlantic Ocean, Cornwall is right at the heart of the vibrant and fast-growing European marine sector. That’s why we call it the ‘marine hub’. 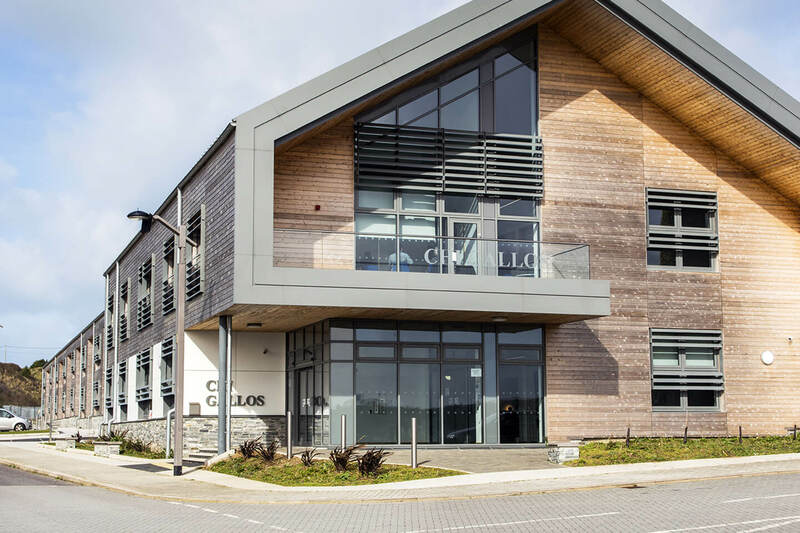 With its pivotal location, outstanding facilities, specialist expertise, the regions unrivalled natural resources, connected supply chain and dynamic digital communications, Cornwall is a world class centre for marine technology innovation. Matt Hodson, Director of Marine Hub Cornwall, was recently interviewed by Marine Technology Reporter about how Cornwall is perfectly positioned to be a global leader in marine technology. Q) Marine Hub was launched to become the voice of marine technology innovation in Cornwall. Tell us about the project and why you are set on strengthening the region’s position as a leading global technology hub. Q) Can you tell us about the Marine-i scheme and how Marine Hub is helping to promote innovation in marine technology? a) “The Marine-i is a research development and innovation stimulus multi-partner project led by the University of Exeter. To put it simply, it’s purpose is to help solve the market failure of a lack of R&D activity in the SME population. We have a lot of innovative companies which are doing well, but if you look at the percentage of turnover we can do better. That is in line with the UK industrial strategy and a UK-wide mission to really look at increasing R&D activity. We have several other projects that are happening through Cornwall Trade and Investment that look to do similar things across aerospace, health, agriculture and space. Marine-i is focusing on the marine technology companies that are looking to create products, processes, and services for the marine industry. How do we do it? It’s a combination of support from university partners including University of Exeter, University of Plymouth and also the Cornwall College Group to support these companies with research. We have the Offshore Renewable Energy Catapult with Cornwall Marine Network who link the markets and the private sector. We’re also managing the Marine Challenge Fund which is a £3.91 million grant fund where we can help supply grants to support R&D projects”. The full feature article can be found here. To find out more about get in touch.